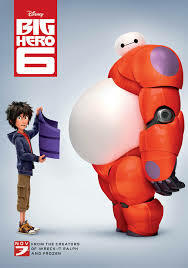 I recently got to watch the Marvel/Disney Superhero movie Big Hero 6. This is a different type of Marvel movie: it comes from a Marvel comic and is animated by Disney. This is the chance for Disney to show their recent acquisition of Marvel comics/Marvel Entertainment is going to be a good thing, and not just bloat profits for the mouse. So…how do I think they did? First off, I admit the movie came out some time ago, and has been out on DVD for some time now, so I haven’t been overly diligent in seeing the movie. Truth is, I don’t know the comic or the characters and I haven’t even researched them before writing this. Which I think is a good thing, since I’m giving you this review without previous knowledge of the source material, instead of comparing it to said source material. I’m reviewing only the movie on its own merits. The movie tells of a young genius name Hiro who invents robots. He’s introduced to his older brother’s college friends and decides to build robots in the college. 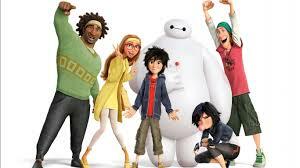 Then his brother is killed due to the machinations of a super-villain and Hiro and friends become Big Hero 6, a group of super-heroes. That’s the plot, which isn’t too complicated. In fact, it isn’t complicated at all. Nor is it anything new. Yet it works wonderfully! The key is the same thing that makes all the other Marvel movies work so well: this movie has a lot of heart! It isn’t just action and gizmos and neat effects. It is a touching story of a boy who lacks direction in his life and has survived a lot of tragedy. Hiro may be the most tragic Marvel movie character yet, in fact. Seeing his journey and triumph is uplifting and fun! I hope there are more movies about Hiro. Big Hero 7 perhaps? 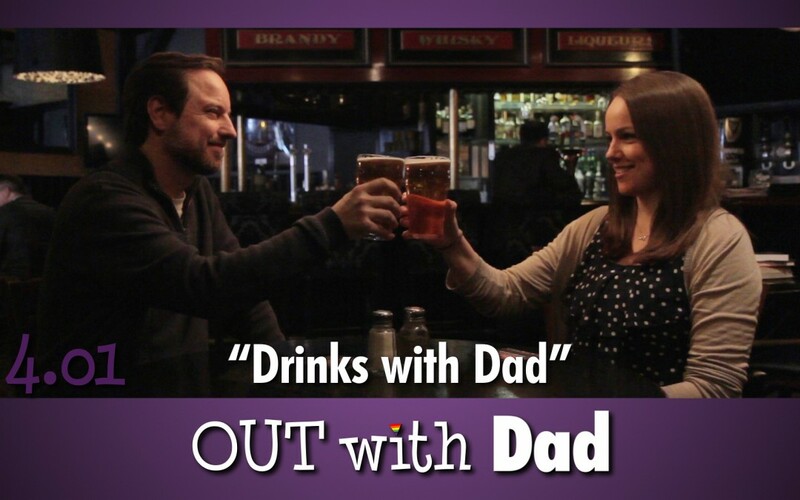 Season 4 of Out With Dad has begun and I haven’t written anything about it yet! So, here I am to give my commentary and ramble on about what the series has me thinking about right now. It’s great to see the story of Rose and her Dad continue, and it’s interesting to see that creator Jason Leaver is using a new method to fund the series. I won’t go into the details, since you can check them out for yourself on the Out With Dad website. Instead, I’ll comment on the events in season 4 so far. First, let me say something in general about season 4. Jason has chosen to pick up the series several years after season 3 ended. Rose has just turned 19 and is in her first year at University. I think it works very well for the series to pick up here, as opposed to trying to continue exactly where it left off. Partly because the actors have noticeably aged, but also because the high school setting had pretty much been exhausted for interesting plot threads, since Rose was out and dealing with it. I’ve had thoughts since the end of season 3 about where I would take the personal relationships from that point, but I think OWD is about more than who Rose (and Dad) are dating. The series exists to present realistic scenarios about what it is like to be gay and to be supportive of someone else who is gay, and how life if different for someone who is homosexual. It’s about the unique challenges of Rose and her Dad and the societal challenges that someone like Rose has to face that someone like me (not gay) never had to face. This aspect of the show is what I’m most interested to see as to where the story goes from here. Oh, and I’m also curious as to who Rose will be dating! 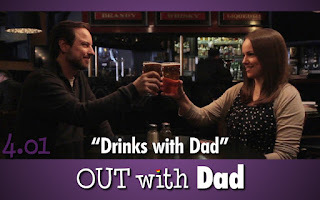 Episode 4.1, “Drinks with Dad” catches us up with the lives of Rose and her Dad since season 3 while they have a drink together to celebrate Rose reaching the legal drinking age in Canada. We learn in this episode that Rose is going to college, still lives at home, and still regrets the situation at the end of season 3. It also establishes that Rose is not dating Claire or Vanessa, and that this shouldn’t be surprising since very few people marry their high school crush. It also talks some more about Rose’s mother, and how she and Nathan met in grade school and married young, but he doesn’t want Rose to think she’s failed because she hasn’t done the same. We also learn that Nathan is in counselling to deal with the loss of his wife, and he thinks he’s finally dealing with the loss after all this time. Perhaps raising Rose was too much of a distraction and Nathan never stopped to deal with his feelings. Hopefully, this foretells a future love for Dad? Okay, I was going to review the next episode also, but I’ve spent too much time on this one. I’ll get to it soon. I promise! I know there’s a lot of people who have written about the second Avengers movie, and it isn’t exactly brand new, but this is when I have the chance to give my impressions, so I’m gonna write about it now. 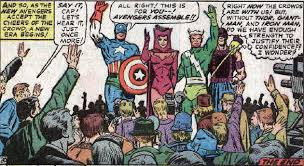 The Avengers was initially created by Stan Lee and Jack Kirby as a collection of the Marvel Super-heroes that existed at that moment in the company. The idea was to make a super-group out of the amazingly successful individuals. But the difficulty with this concept is that nothing happens to the characters while they are in the Avengers that will be more important than what happens to the characters in their own books. Stan solved this problem by changing the lineup of the group. The characters who had their own books left and the new Avengers consisted of Cap, Hawkeye, Quicksilver, and the Scarlet Witch. The three new recruits would become iconic Avengers. I’d say this is because they were, first and foremost, Avengers, not solo stars appearing in a second book. This is also why characters such as the Vision and Wonder Man have become iconic Avengers. They were created in the book. In the movie, all characters have significant character arcs, but the most interesting involve the characters who do not have their own movie series. The best arc in the film belonged to Hawkeye. His surprise family and vulnerability were both different from the printed page and a welcome sight. It also shows that the movies aren’t going to be “filling in” the traditional histories of these characters from the comics. I like this a lot. 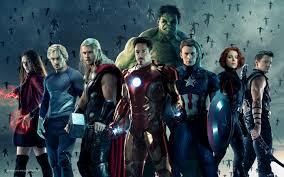 Finally, the movies ends with the introduction of a new Avengers lineup, with most of the original movie team leaving. This is wonderfully similar to the comics and yet done in a totally new way with different characters. So, bravo Marvel for putting out another great movie! I know there’s more on the way and I can’t wait to see them! It’s long overdue that I write something for my blog. I’ve been incredibly busy lately with preparations for Motor City Comic Con, spending a weekend at the con, and working my day job. Therefore, the blog has taken a hit while other things get done. But now it is summer, school is out, I only have one commission currently on my list, and I don’t have another convention for a good month. So now I can write about all those things I’ve been neglecting. Such as: Avengers movie, SHIELD and Flash TV shows, Out With Dad: season four, and comics I’ve been reading. AH. Where to start? I think I’ll begin by talking about myself. 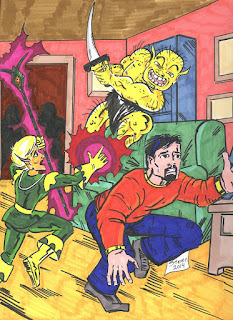 I’ve just completed posting the 9th chapter of Mutant Elf on my webcomic page. This completes the first of a two-chapter story involving getting all the lead characters into the Fairy World together, where they will have lots of fun! Well….they’ll be in constant danger, but we will have fun watching them get out of it! At least, I hope you have fun. The series seems to have a lot of views and a few followers, so I think someone’s enjoying it other than me. I’ve also finished a new set of statues, some of which I sold at the convention, but some others are still available! I’m really enjoying making clay versions of Paris Watkins’ super-heroes. You can see some on his Facebook page. They really lend well to being sculpted, probably because they’re so cartoony. I’ll show some other pictures of my stuff here soon. Finally, I had the pleasure of having a letter printed in a comic. 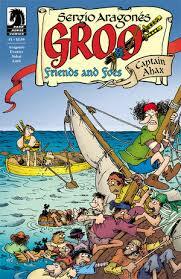 You should go to your local comic shop, or contact Dark Horse Comics and demand they get you a copy of Groo: Friends and Foes #1. 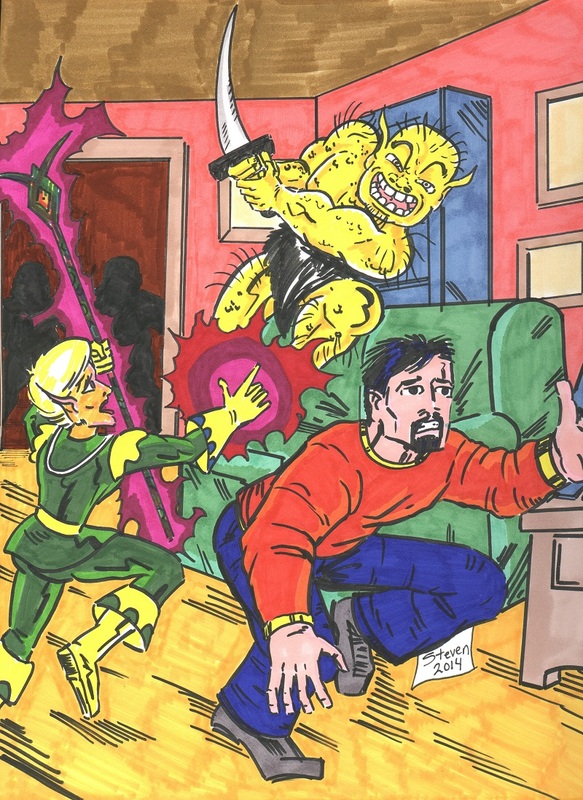 You MUST get a copy of the actual issue, because letters are not reprinted in trade paperbacks. It’s not a particularly amusing or well-written letter. It’s probably about the same as this blog. But it’s mine, and I’m very proud of it!! I’ll be back soon with comments about something of great importance. I won’t say exactly what. Until I figure out what it is.